"ZANY BARBRA!" 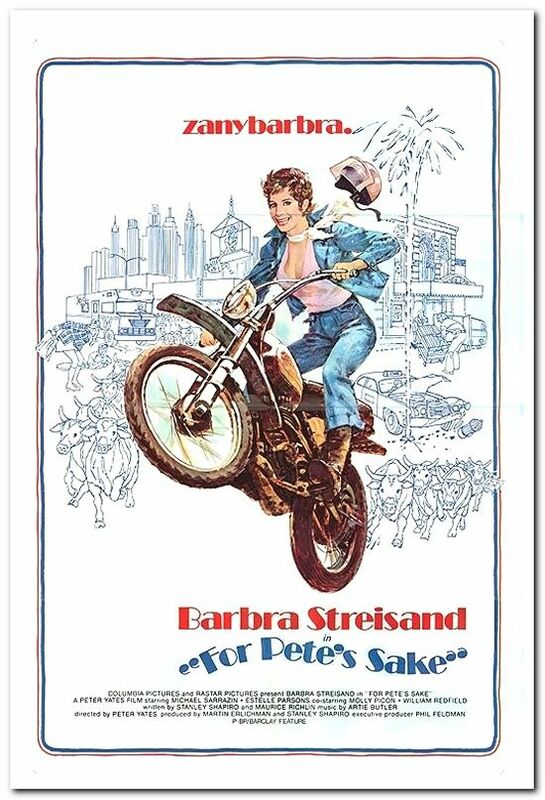 Here is an original International Style 1-sheet from the 1974 comedy film - "FOR PETE'S SALE" - starring BARBRA STREISAND. An International poster means it is printed by the studios in the U.S. for use in non-U.S. countries and does not have a ratings box. It usually will have a different design than US released posters and this makes them sought after by collectors. This measures approx. 27 x 41 inches in size. It is folded (as were most posters prior to 1984) and is in near mint condition. It is an original poster, 1-sided and has been stored in a dry, smoke-free home. Nice item for BARBRA STREISAND fans and collectors! !